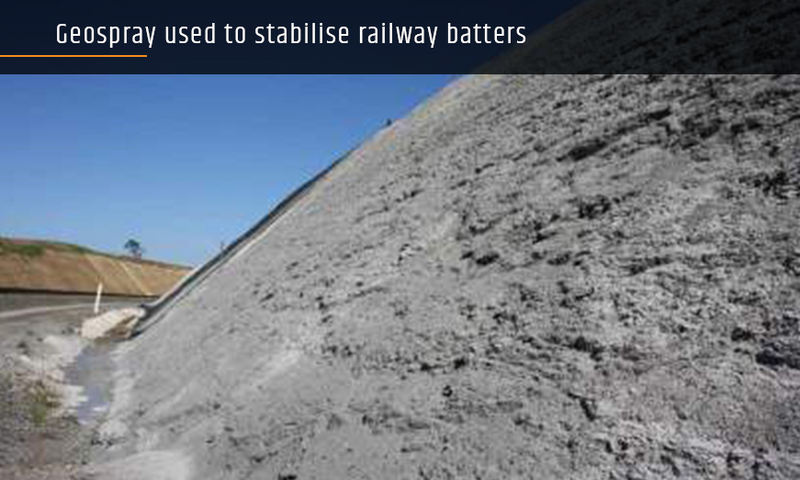 EnviroStraw was engaged to stabilise railway batters at a site near Tahmoor, New South Wales. The project involved securing loose shale and rock on the site and minimising erosion. 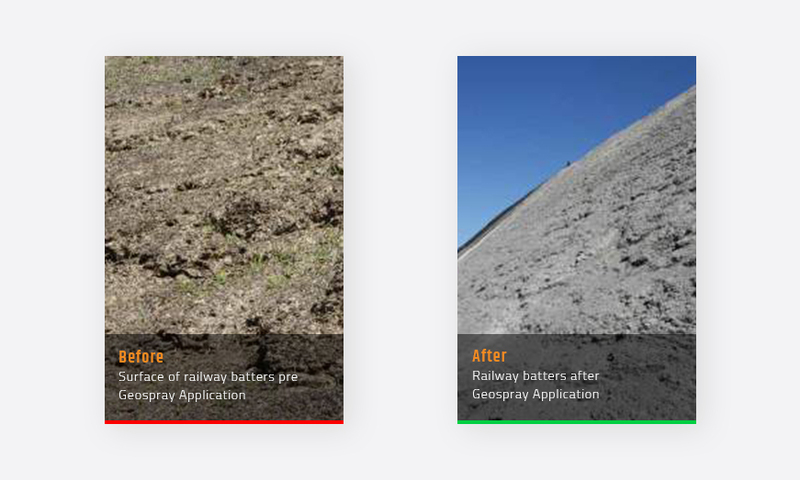 Three passes of our spray-on erosion control product GeoSpray were applied to the area, with each pass consisting of a 1kg/m2. Each pass was sprayed from multiple directions to achieve 100% ground coverage. The Geospray cover has been 100% successful. A freak storm passed over the area just four hours after application, bringing with it strong winds and torrential rains exceeding 50mm and hour for two hours. Despite limited curing time, Geospray performed beyond expectations and was found intact and unaffected by the storm.